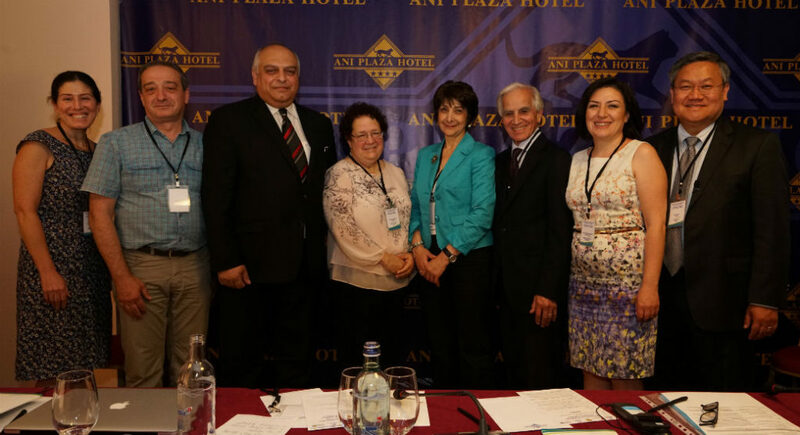 Highlights from July’s Mission included a trip to our subspecialty eye clinics at the Malayan Ophthalmological Center in Yerevan — run by Armenia’s top ophthalmologists who completed fellowships in the U.S. sponsored by the AECP. 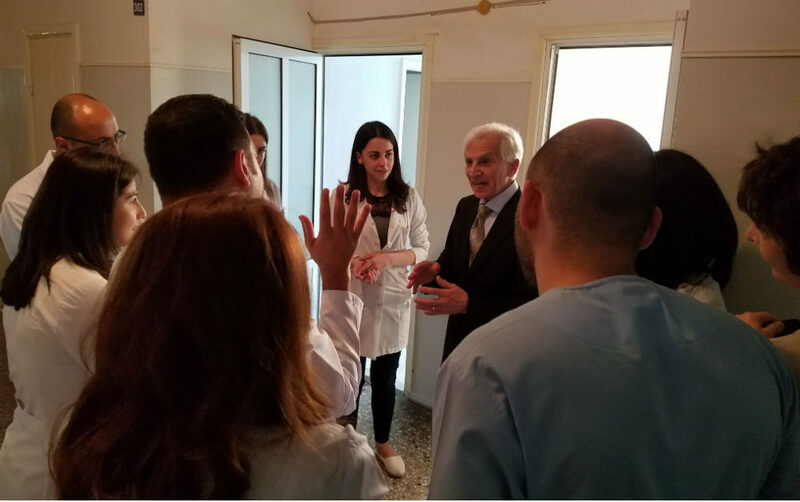 At the clinics, Founder Dr. Roger Ohanesian found the time to meet with, train and mentor current ophthalmology residents in Armenia. Venturing outside of Yerevan, the AECP team also visited our state-of-the-art Mobile Eye Hospital, stationed in Vayots Dzor at the time to treat local residents of the province, and embarked on day trips to our two completed Regional Eye Clinics — the Haig Boyadjian AECP Regional Eye Clinic in Ijevan and the John and Hasmik Mgrdichian AECP Regional Eye Clinic in Spitak. In fact, it was during our Mission in July that our second Regional Eye Clinic, the John and Hasmik Mgrdichian AECP Regional Eye Clinic in Spitak, held its grand opening. 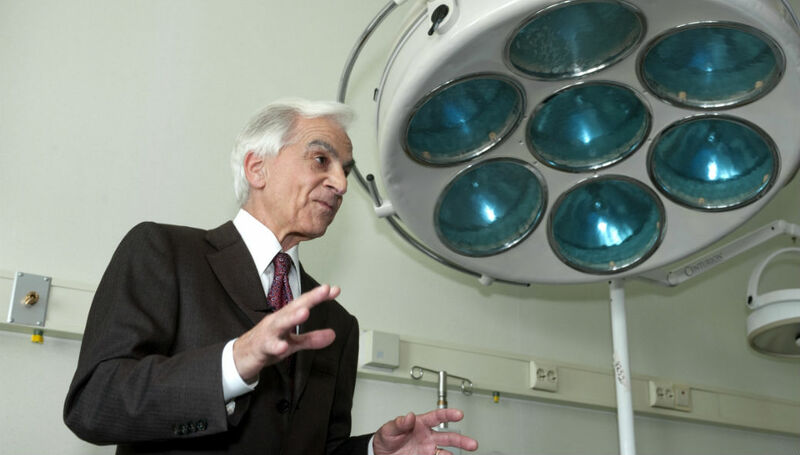 Other high points from the trip included two international conferences organized by the AECP — the 14th International Conference on Ophthalmology and the “Development of Neonatology in Armenia” — that highlighted how far Armenia and its physicians have come in the fields of ophthalmology and neonatology over the past 20-plus years. Both conferences were heavily attended, with over 100 people at each event, consisting of ophthalmologists from Armenia, as well as ophthalmology residents and medical students from both Armenia and the U.S.
Aside from the conferences, patient visits, surgeries and trips to our many facilities, there was still time to enjoy some social events during our Mission. With nightly dinners put together by our staff and a viewing of Pope Francis’ Address in Republic Square, friends of the Project were able to enjoy some down time in Armenia while getting to know others involved with our organization. To learn more about how you can get involved with the Armenian EyeCare Project and join our next Medical Mission to Armenia, read more about our Missions here.